Add very large, impressive-looking flowers to your mid-spring garden. 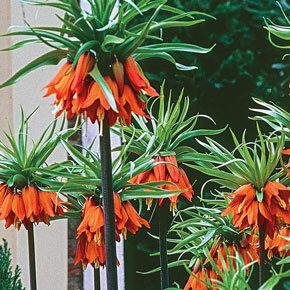 These tall, exotic-looking plants produce lots of bell-shaped flowers that hang in 4" clusters below a tuft of foliage. The flowers' scent also chases away rodents. Soil Requirement: Very-well drained soil. 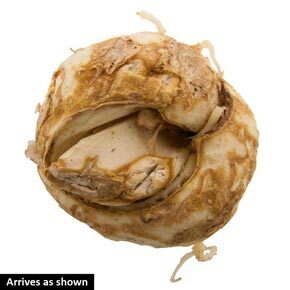 Bulbs are prone to rot.